Veronica is 10 years old, with a 5-year-old sister and 3-year-old brother. Veronica was caught shoplift- ing at a convenience store. She took crackers, soda, milk, and candy. She told the police that her mother has been gone for several days, probably looking for drugs or in jail because of drugs. Veronica has not been going to school in order to watch over her siblings. There are no grandparents or aunts and uncles that Veronica knows of. Veronica and her siblings need a foster family for an indefinite period of time. What if a child in your family (your birth child, a niece or nephew, a grandchild, or perhaps the child of a close family friend) had to be separated from every relative he or she knows and go immediately to live with a family totally unknown to that child or to you? What if you were the child welfare caseworker, supervisor, or administrator charged with the responsibility of ensuring that those “strangers” could provide a safe, nurturing family for a few days, months, or even years until this child could return to you? 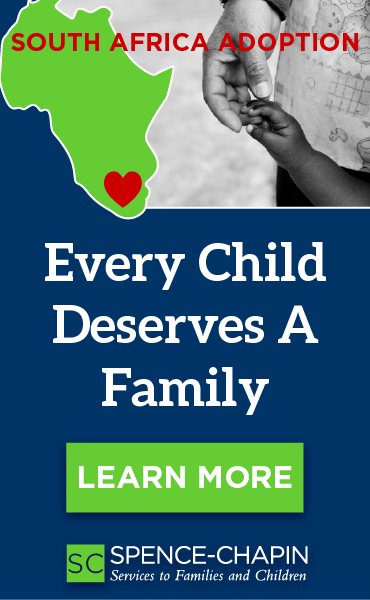 On a daily basis, in these circumstances and countless others, child welfare agencies will turn to foster parents to take care of infants, children, and teens when it has been established that relatives or other extended family members aren’t able or willing to do that. Foster parents are the foundation of every foster care program. In 1991, the NCFFC – a joint effort by the Child Welfare League of America (CWLA) and the National Foster Parent Association (NFPA) – changed the long-established language of foster family care to family foster care. This was to emphasize that fostering takes place in a family setting. More recently, there has also been an emphasis on using the words foster family, instead of foster home. This is because when children have been hurt from abuse or neglect, it will not be their foster homes that heal their hurts but, instead, it will be the members of their foster families who will make the positive difference in their lives. Make a commitment right now: every time you hear someone say “foster home” change it to “foster family.” Remember, homes don’t have feelings, families have feelings! Foster parents are licensed, certified, or approved depending upon their respective jurisdictions and whether the program is run by public/government or private/non-profit agencies. 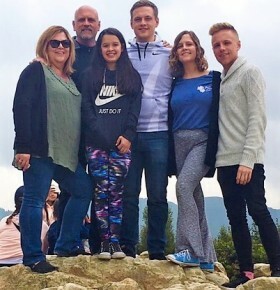 Each foster parent/family that a child protection agency selects to license, certify, or approve must have the ability, willingness, and resources to be partners in helping the agencies with which they are affiliated to achieve federally required goals of child safety, child well being, and permanency. Each agency and each foster parent must mutually determine if the foster parent can fulfill this commitment. The process by which this happens historically has been known as a “homestudy.” That term dates back to the 19th century “Orphan Trains,” when orphaned and destitute European immigrant chil- dren roaming the streets of New York were sent on trains to live with families in the growing West. The “study” was not much more than the local town leaders nodding their assent if the family had enough well water and floor space, i.e. a house or homestudy. If you are Veronica on your way to live with a foster family, what are you feeling? What behaviors will reflect those feelings? What do you want your new foster parents to be like? How do you want them to help you? What do you want to know about them? How do you know that the child welfare caseworker driving you to your new “family” – someone you may have never met before – will find the right foster parents for you? Oh, you are expecting that you and your little brother and sister are going together, aren’t you? Or did the caseworker tell you there were no foster parents who could take you together, so the three of you are being separated? Now how do you feel about the caseworker and the people you are going to live with? If you are Denetria, how do you feel about your children being taken away to live with foster parents? What do you want to know about these people? Are you afraid they will judge you? What do you want them to do for your children? Do you want them to help you see your children and get them back? Like Veronica, you are expecting that all of your children will stay together, aren’t you? What happens to your ability to see your children if they are divided among four different foster families who may live in four different parts of your city? What if someone in your family needed foster care? 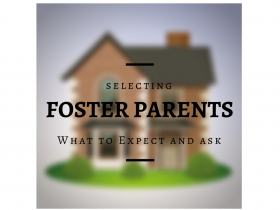 What do you want to know about the foster parents being selected? How will you know they are qualified? How do you know the child welfare staff is quali- fied to make those decisions? Today’s children needing family foster care have experienced physical abuse and neglect, sexual abuse, and the chaos that comes from living with drug-involved families. They express their life experiences in their behaviors. In the 1970s, the child welfare field coined the expression “hard to place” child to excuse itself from having to find the right match for children. That is no longer acceptable. Children can’t be labeled as “hard to place” because of the trauma that adults inflicted upon them. We can only say that skilled foster families are hard to find, as are the child welfare workers who collaborate with and support them. The process of determining ability, willingness, and resources to foster has been reframed from “homestudy” to “culturally competent strengths/needs family assessment,” although “homestudy” is still common. Child protection agencies, whether public or private, have the legal mandate to provide family foster care services. By law or policy, they have the right to choose the foster families with whom they wish to work. Individuals and couples who wish to be licensed, certified, or approved have the right to accept or decline the invitation to become a member of that agency’s foster care team. The following definitions may be helpful in understanding some of the pieces. • Family foster care: A mandated child welfare service for children and parents who must live apart while maintaining legal and, almost always, affectional ties. When children and parents must be separated because of the tragedy of neglect, physical or sexual abuse, or other special circumstances, family foster care provides a planned, goal-directed service in which the care of children takes place in an agency-licensed, certified, or approved family. The value of family foster care is that it responds to the unique individual needs of children and their birth parents through the strength of family living with community supports. The goal of family foster care is to provide opportunities for healing, growth and development leading to healthier children and families, with safe, nurturing relationships intended to last a lifetime. (National Commission on Family Foster Care. 1991. A Blueprint for Fostering Infants, Children, and Youths in the 1990s. Washington, DC: CWLA, p. 121). 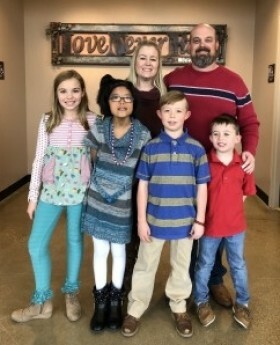 • Foster parents/foster family: An individual or couple who is licensed, certified, or approved to provide round-the-clock pro- tecting and nurturing for children in the custody of a public or private child welfare agency, lasting for a few days, weeks, months, or years. • License, certification, or approval: An array of expressions used by different jurisdictions to indicate that an individual or family have met their standards for foster parenting, and are qualified to foster. This is usually for a specified period of time, requiring a new license, recertification, or re-approval after one or perhaps two years. • Child welfare agency: A governmental department with a legal mandate to provide child protection services; or a private, not- for-profit agency that has a contract with the public agency to provide child welfare services. For-profit agencies are not common; some states do not allow foster care to be provided by for- profit agencies. • Out-of-home care: The overall term for child welfare services that are provided for children and parents who are not living together, including family foster care, emergency shelter care, kinship care (relatives taking care of younger family members), group homes, or residential treatment facilities. Child protection agencies, whether public or private, have the legal mandate to provide family foster care services. By law or policy, they have the responsibility and the right to choose the foster parents with whom they wish to work. Individuals and couples who wish to be licensed, certified, or approved have the right to accept or decline the invitation to become a member of that agency’s foster care team. Government and private agencies charged with the responsibili- ty to provide foster care have the legal and ethical obligation to ensure, to the best of their ability, that children are placed with foster parents/families with the willingness, ability, and resources to fulfill that role. There are standards or criteria for foster parents/families to meet. There must be an assessment and selection process to determine whether those standards are met. In turn, individuals and families must determine if they wish to work with that agency. This process often includes a series of personal interviews, group preparation sessions for potential foster parents, review of certain records, reference checks, and completion of required paperwork. a. Do you have integrity, and no adult in your family has been convicted of a crime that may indicate a potential risk to children? b. Are the living quarters of your house adequate to accommodate additional children, and free of foreseeable hazards and risks to children? c. Is your family currently experiencing a critical period of change or stress that may diminish your capacity to respond to the needs of children entering your family? 1. Can you provide positive, age-appropriate structure and discipline in accordance with standards that prohibit corporal punishment, withholding of food, and other harsh punishments? 2. Can you provide the basic needs of children in the areas of nutrition, physical care, health care, emotional support, education, recreation and other developmental needs? 1. 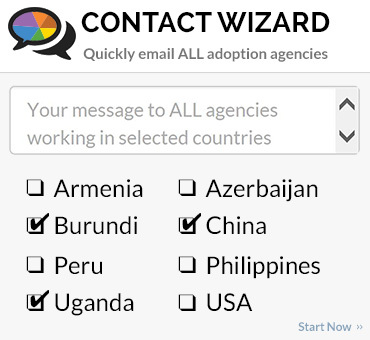 Can you support the children’s visits and other contacts with their birth families? 2. Can you avoid derogatory comments and other negative communications about the children’s families? 3. Can you provide information to the children’s birth families about the children’s development and progress and engage the birth parents in activities with the children as provided for in the children’s service plans? 4. Can you support the children’s cultural heritage and provide religious and/or spiritual training consistent with any that the children’s birth families have or request? 1. Can you work with the agency to achieve the permanency plans for the children, typically to reunite the children with the birth parents or relatives? 2. Can you work toward adoption for children when reuniting them with birth parents is not possible? 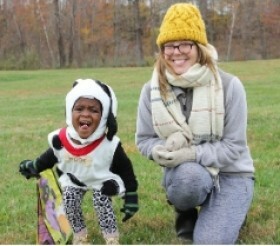 In many instances foster parents are asked to engage in “concurrent planning,” or working toward reuniting the children with their birth families and beginning planning for adoption in case the birth parents are unable to change sufficiently to create a safe and nurturing environment for the children. 3. Can you help insure that youths who reach the age of 18 and for whom neither reunification with birth parents nor adoption is possible will stay connected to your family due to the safe and nurturing relationships you have established? 1. Can you keep confidential all personal information about the children’s families and circumstances that led to the placement and ongoing services of the children? 2. Can you welcome agency representatives into your house, including caseworkers, licensing workers, and others involved with the children’s care? 3. Can you participate in meetings and other activities required by the service plans, such as taking children to therapy? 4. Can you participate in ongoing training and professional development? • Individual discussions with an agency representative. • Group meetings and training to discuss your willingness, ability, and resources to address these challenges, and to learn new skills. • Individual interviews with the members of your family and any other adults living there. • Measuring home floor space to confirm that space requirements are met, observing living space to confirm that adequate furnishings to accommodate the children such as beds and drawer and closet space are present and that provisions to protect against fire, poisoning, and other potential risks identified in the state’s standards are observed. While this may seem intrusive, consider the following scenario: What would you want to know about a family that would step in to take care of someone you love? How long would it take you to make this assessment? How would you know you made the right assessment? Preservice training helps you make an informed decision. Many agencies use what is called “preservice training” or “group preparation/selection” as an important part of the selection or assessment process. Working in a group with other prospective foster parents provides the opportunity to become more aware of fostering issues, to know and understand more about the program and, most important, to apply what is learned to your own individual and family situation. This will help you and the agency make an informed decision if foster parenting is right for you and your family. If it is not, you don’t want to find out after a child has been placed with you. This becomes another rejection for that child, and a sad experience for you and your family. Make every effort to work with an agency that provides preservice training as a way to complete your assessment. Any agency that would invest many hours in preparing you – before you even decide to take one of their children – has got to be an agency that cares about people. Make sure that training is co-led by an experienced foster parent, too! “NEVER be afraid to say no. they WILL call you again for other place- ments” -Tracey M.
Here are two categories of questions that should be raised during the foster parent selection process. 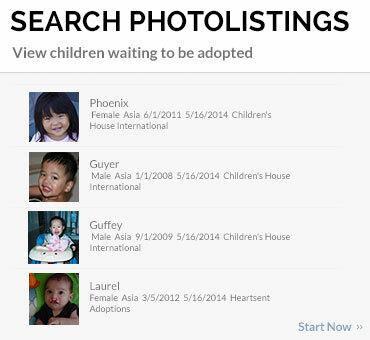 The first category are questions that typically are asked by prospective foster parents. These are followed by issues that prospective foster parents should raise, but may not because perhaps they are not aware of their significance. Because agencies have mandates by federal, state, or county laws, every agency may have its own set of criteria and Advice from a foster parent... ways of answering the questions. The depth of the answers may also vary among staff, depending upon the quality and quantity of training and supervision they receive, and how frequently agency policy manuals are updated. 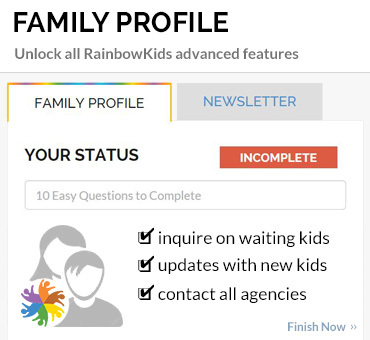 • Ask if your agency has a brochure or a manual for prospective foster parents. • Seek out foster parents in your community (perhaps through a place where you worship or where children go to school). 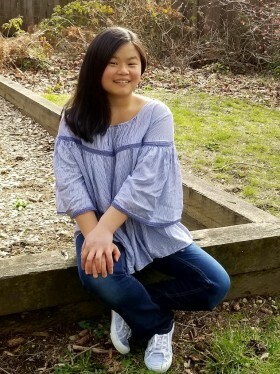 • Learn if your city, county, or state has a foster parent association that you can connect with. Go online to the National Foster Parent Association at www.nfpainc.org for valuable information and support. For example, the NFPA website will link you to many excellent resources, such as each state’s requirements for training; it will also give you general answers to some typically asked questions about foster parenting. What are all the steps involved in becoming a foster parent? How do I get an application form? Is there a checklist of my responsibilities? Is there one specific person I should connect with? What training or preparation will I receive? What is the process to participate in the training? Is it in a group or online? How much does it cost to be a foster parent? Will I have to pay to get a license or certification or approval? When I participate in training, what expenses are involved in that such as mileage and babysitting? What is the monthly reimbursement rate for foster parenting? Isn’t foster parenting typically a voluntary experience with no salary provided? Doesn’t the child placing agency that has custody of the child provide for the costs of caring for that child, such as room and board, medical care, and clothing? How is the reimbursement related to the age of the child? 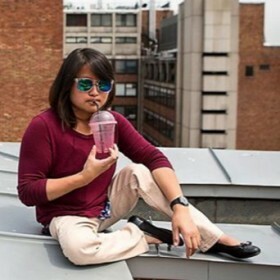 Are there guidelines as to how these funds can be used? Can I choose the children I want? What are the ages of the children needing foster care? What is the greatest need? Could I be an effective foster parent for siblings, or children with special medical needs? How do you match the needs of children with the strengths of prospective foster parents? I have biological children – what do I tell them about fostering? What kind of training and support or guidelines will you provide to help me talk with my children about being a foster family? How will your assessment and licensing or certifica- tion process address this? What about preparing other family members or friends for our fostering experience? In what ways is fostering similar to and different from parenting birth children? Am I expected to adopt the child or children placed with me? What does “concurrent planning” mean? What kind of support will I (and my family) get to help us let go of a child to whom we have become attached or, conversely, to prepare to adopt a child we had planned to return to birth family? Advice from a former youth in foster care... “We appreciate you!!!! Speaking of someone who grew up in foster care... good foster parents are hard to come by.... I have seen my foster mothers heart break due to the return of some of her kids... seen her heart break because of the choices that some of her kids made but remember you may not be everything to everyone but to someone you may be their everything. If you touch just one child's life and change it forever it could be worth it!!!! 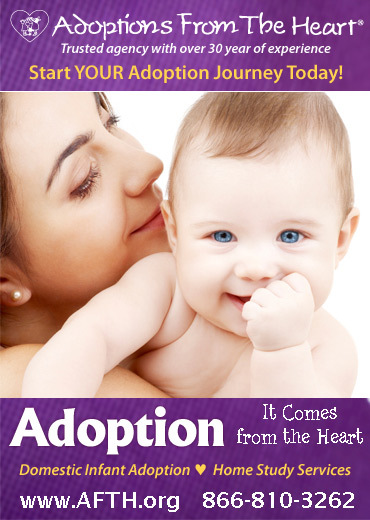 !” -Elizabeth D.
In what ways is fostering similar to and different from adoption? Am I expected to adopt the child or children placed with me? What does “concurrent planning” mean? What kind of support will I (and my family) get to help us let go of a child to whom we have become attached or, conversely, to prepare to adopt a child we had planned to return to birth family? What about the ethnicity and culture of children I may be asked to foster? Would I be asked to foster a child who may be of a different ethnicity, culture, or religion than that of me or my family? If so, what kind of training and support would I/we get to help this child get adjusted? What kind of support or preparation might the child get to be placed with a family who will be “different?” What about the impact on the birth parents? What kinds of references are needed? Do you want to talk with members of my family, friends, people at my place of worship, or colleagues from work? Will you talk with my children’s school teachers? Would a past criminal conviction automatically prevent me (or a member of my family) from becoming a foster parent? What if I had a record as a teenager? What is the role of foster parents at your agency? What about being accused of abuse? What happens if I or someone in my family is accused of abusing a child placed with us? What will happen? What supports and resources would be available? What could be the impact on the individual members of my family: the children and adults? Do I need any special insurance to be a foster parent? Is insurance provided by the agency, or do I get or need my own? Might I be asked to foster a young person whose sexual orientation is different from that of members of my family or me? If so, what kind of training and support would I/we get to help this young person get adjust- ed? What kind of support or preparation might the child get to be placed with a family who will be “different?” What about the impact on the birth parents? Advice from a foster parent... “Love is not enough! These children come from tough starts and have seen things you can’t imagine. Educate yourself for the needs your children have, never stop learning! Advocate for their best interests. 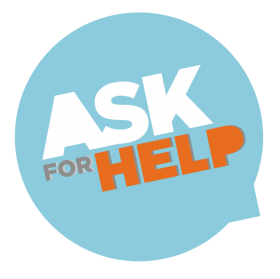 Ask for help and advice from other foster parents, your CASA (if you have one), or your case worker. Know that what you are doing is of critical importance to that child. And that is what makes it all worth while.” -Karen R.
Becoming a foster family is a life-changing event for everyone involved. What changes are you expecting? Being a foster parent is not a lifetime commitment to a child. It is a commitment to be meaningful to a child’s lifetime. Children who come to live with us may stay for a few weeks or for years. They may not appreciate our contribution to their lives until they are much older. One of the most compelling aspects of being foster parents is that almost all children who come to live with us will have been abused or neglected before we meet. This requires considerable sensitivity. Becoming a foster parent is a privilege, it is not a right. But for a child to be free from abuse and neglect, that’s a right, not a privilege. Ensuring this right for children is an extraordinary contribution not only to those children, but to their parents, kin, and our communities. Thank you. Eileen Mayers Pasztor, DSW, is experienced as a public agency casework- er and supervisor; as a curriculum developer and trainer; and as a fos- ter and adoptive parent for children with special needs who, now as adults, continue to require her support. She teaches child welfare and social policy advocacy courses at the School of Social Work at California State University, Long Beach (CSULB), and edits the journal Reflections – Narratives of Professional Helping. She was the national program director for family foster care, kinship care, and adoption at Child Welfare League of America (CWLA). She is recognized internationally for her leadership to create programs to develop, train, select, and support foster and adoptive parents (Nova, MAPP, PRIDE), and she continues to consult and train nationally. Donna D. Petras, MSW, PhD, has many years of experience in the field of child welfare as a case- worker, supervisor, trainer, administrator, professor, consultant in program development, and author. She is the former Director of Foster Care for the Illinois Department of Children and Family Services and Past-President of the U.S. National Association of State Foster Care Managers. Donna has conducted research and published in the areas of child neglect, kinship care, and parenting. Since 2004, Donna has worked in Ethiopia and Tanzania to create social services for orphaned and vulnerable children and their families. Donna is Director of Models of Practice and Training Development at CWLA. Reprinted from The Foster Parenting Toolbox EMK Press 2012. Used with permission. Find the Foster Parenting Toolbox at online booksellers or on EMK Press.